Sleeping till after 6:00am was a rare treat. I guess that I needed it. I did spend lots more time yesterday working on the DPP 4.0 RAW Conversion eGuide and enjoyed a short, easy swim of about 2/3 mile. That and a short afternoon nap. This post, published at about 7:45am, took me about 1 3/4 hours to prepare and makes 288 in a row. 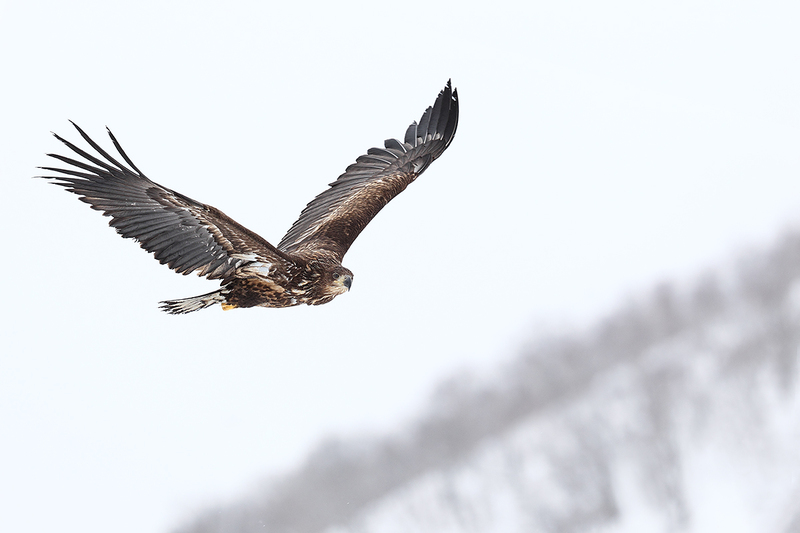 This image was created at 8:19am on February 27, on one of what I call the sea-eagle tourist boats in Rausu on the 2012 Japan in winter IPT, my first. 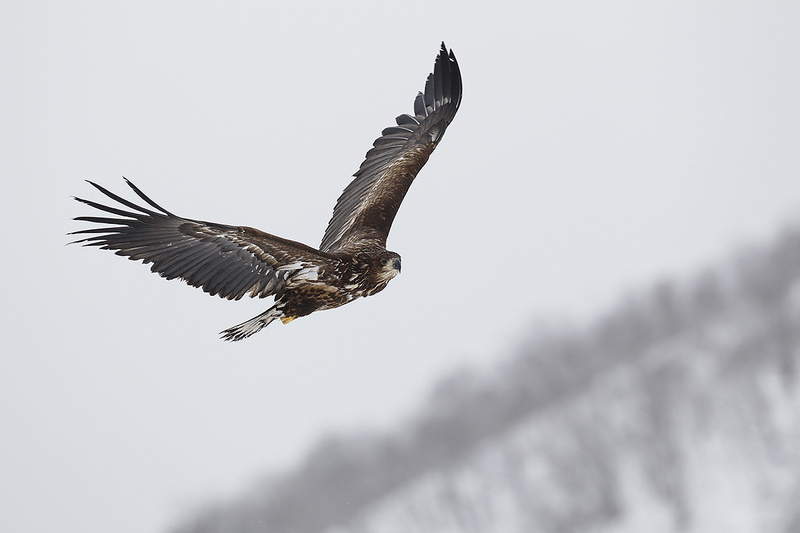 I used the hand held Canon EF 300mm f/2.8L IS II USM lens and the EOS-1D Mark IV (now replaced by the Canon EOS-1D X). ISO 400. Evaluative metering +2 2/3 stop off the sky in cloudy conditions: 1/1250 sec. at f/4 in Manual mode. AWB. Central sensor/AI Servo-Surround/Rear Focus AF as framed squarely on the bird’s face was active at the moment of exposure. Click here to see the latest version of the Rear Focus Tutorial. Click on the image to see a larger version. As we have been seeing here for well more than a year, and contrary to my prior opinion of about three decades, the 300mm f/2.8L IS (and VR) lenses can be extremely valuable for bird photography in a variety of situations including and especially hand held flight. Please do not ask me how I got three super-telephoto lenses on my 2014 trip to Japan: the Canon EF 300mm f/2.8L IS II, the Canon EF 200-400mm f/4L IS USM lens with Internal 1.4x Extender, and the Canon EF 600mm f/4L IS II. In any case I did, and I was glad that I did. 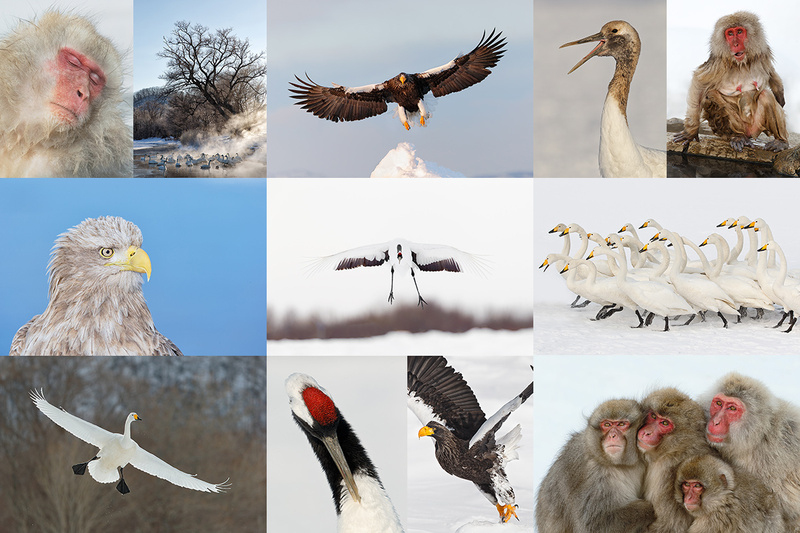 The 300 II was great for hand held flight with several species, the 600 II for the Red-crowned Cranes, and the 200-400 for the sea-eagles and the Snow Monkeys. This is a tight crop of the unsharpened optimized TIFF file. Click on the image to enjoy a large version. How sharp is sharp? Take a close look at the unsharpened image above and you be the judge. This JPEG, created from the embedded JPEG, represents the original RAW capture as it came out of the camera. I did the RAW conversion in DPP 3.4.0.0. DPP 4.0 does not at present support EOS-1D Mark IV images. I did open up the dark tones during the RAW conversion with both the Brightness and the Shadow sliders. Once I got the image into Adobe Photoshop CS-6, I had two main concerns. Since the bird appeared to be flying uphill, I wanted to level the bird in flight. I did that by duplicating the entire image (Ctrl J), rotating the bird to level using the love handles on the transform command box, and then bringing back the original slope of the big hill with the addition of a Regular Layer Mask. Lastly in that department I moved the bird back in the frame just a bit using techniques from APTATS II. Next I applied my NIK Color EFEX Pro 4.0 50-50 recipe to the bird only. And finally I lightened only the dark tones of the head by selecting them, putting them on a layer, and pulling up the curve. 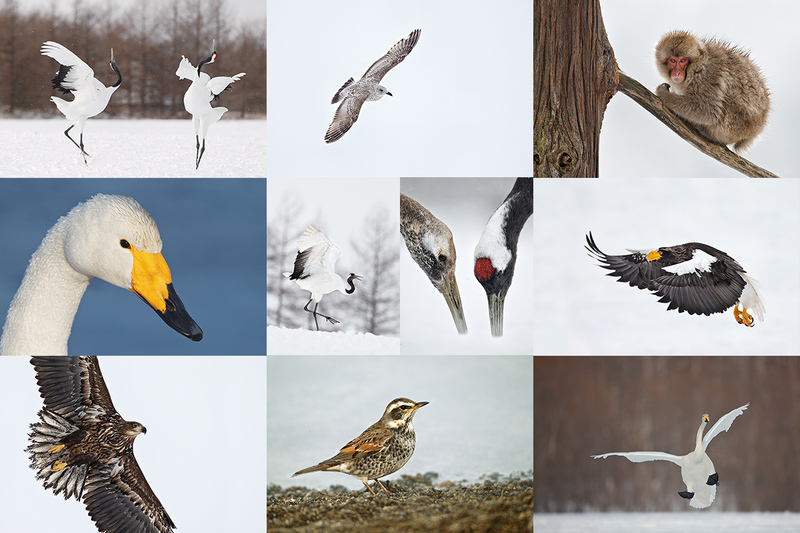 All selections were made using the Quick Selection Tool (my keyboard shortcut W.) I saved the master file and then created my 1200 pixel wide JPEG optimized to less than 395kb for use on both the blog and on BPN. To learn why I use Canon’s Digital Photo Professional (DPP) to convert every image that I work on, click here. Coming soon: The DPP 4.0 RAW Conversion Guide by Arash Hazeghi and Arthur Morris. The more that I use DPP 4.0 for my RAW conversions the more I am impressed with it. I will be putting in several more hours of work today editing and adding to our new eGuide. Note: at present, DPP 4.0 will work only with 1D X, 5D Mark III, and 6D images. 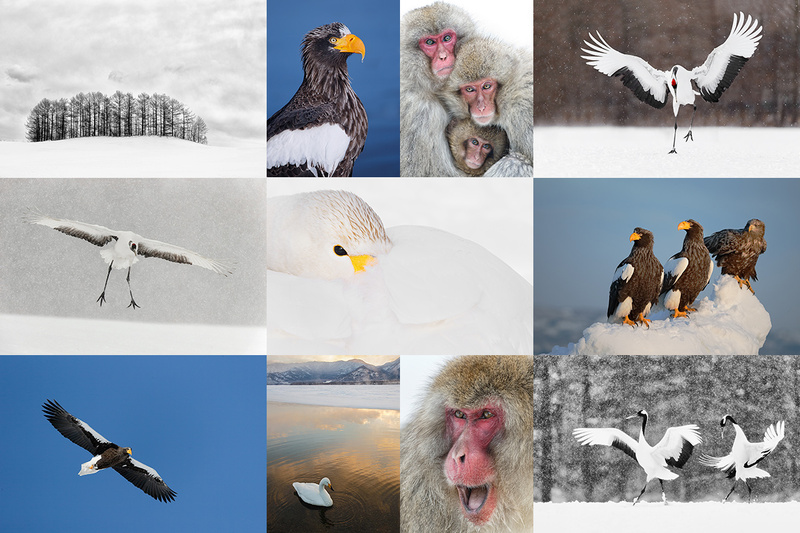 Consider joining us in Japan in February, 2016; the world’s best Japan in Winter workshop. Click on the card to enjoy a larger more spectacular version. Amazing subjects. Beautiful settings. Nonstop action and unlimited opportunities. Join us. Click on the card to enjoy a larger more spectacular version. To save your spot, please send your $5,000 non-refundable deposit check made out to “Arthur Morris to Arthur Morris/BIRDS AS ART, PO Box 7245, Indian Lake Estates, FL 33855. We do hope that you can join us for this trip of a lifetime. If you have any questions for would like to discuss alternate financing for this trip please shoot me an e-mail or give me a buzz at 863-692-2806. Life is short. Hop on the merry-go-round. Click on the card to enjoy a larger more spectacular version. May I know how long Canon prosumer L lenses can be expected to remain sharp? 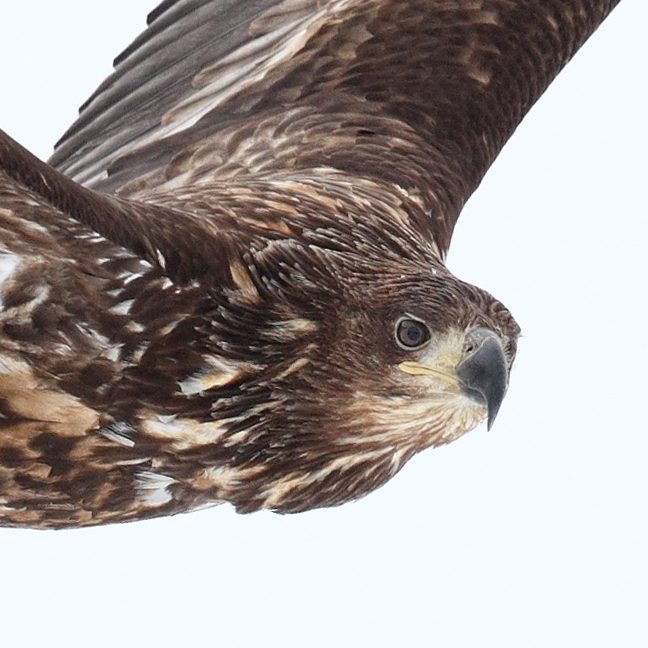 My 5 yr old EF 400mm f/5.6L USM seems to be producing little softer images of late. Well, I can exhale now. The official announcement matched the rumors exactly and I have pre-ordered one through your link. 🙂 Maybe I’ll have it in hand by the time I see you at Bosque. Agree on the sharpness :).